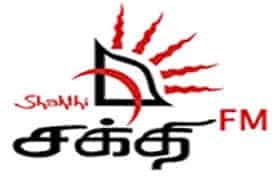 Shakthi FM Tamil Radio Sri Lanka Live Streaming Online . Listen over 70 SriLankan FM Radio Stations Online . Enjoy live Stream of Sri lanka music 24 by 7 online . It was Launched on November 20, 1998 . Shakthi FM Frequency : 103.9 MHz , 104.1 MHz . This FM is a Sri Lankan Tamil language channel available on air. This FM broadcasts music, live news, interactive interviews and a host of other formats that are innovations in Tamil radio in Sri Lanka.Click on Desktop Stream to listen on Desktop or Laptop . Use Google Chrome to listen this station in Ipad/Iphone / Android Devices/Laptop / Desktop . MTV/MBC Channels (PVT) Ltd,Araliya Uyana,Depanama,Pannipitiya. Mobile Contact Number : (+94) 11 2851371 .